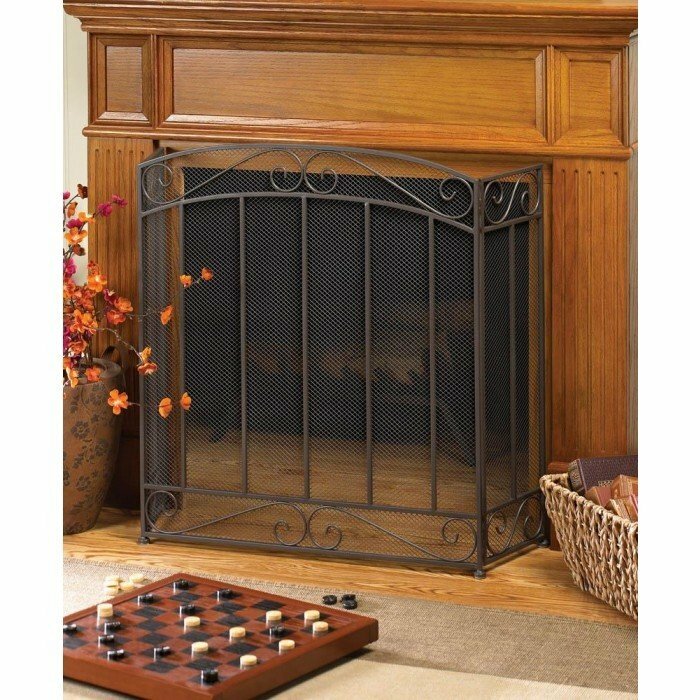 CLASSIC FIREPLACE SCREEN by Accent Plus home decor, jewelry, decor, decorations, electronics, fountains, floor mats, art glass, vases, garden essentials, fireplace screens. Timeless and elegant, you'll love the way this iron screen adds a touch of stately design to your fireplace. The tri-fold design allows you to fit it perfectly in front of your fireplace. Center panel: 25 3/4" x 29 1/2" high; each side panel is 8 3/4" x 27 1/2" high. Material(s): IRON METAL METAL - MESH. Weight 7.6 pounds. Dimensions 25.8" x 8.75" x 29.5".